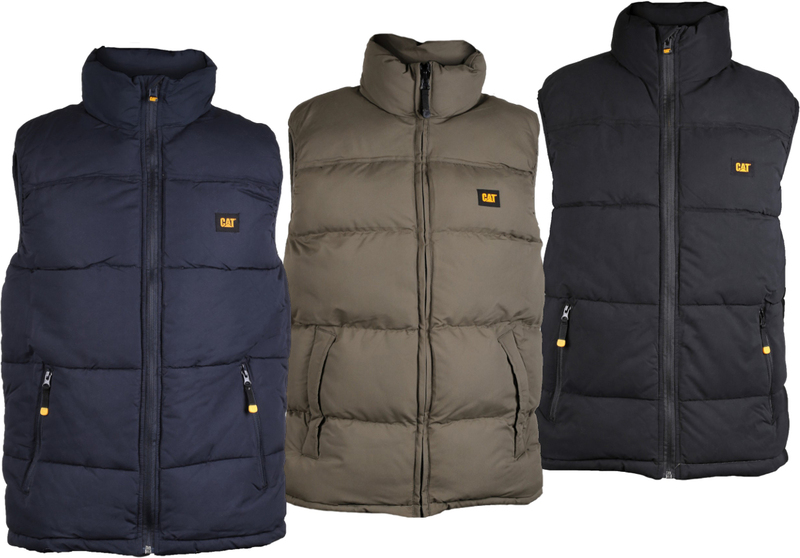 Caterpillar C430 quilted body warmer is a superb body warmer that is manufactured from high quality materials. Manufactured with 100% polyester micro-peach that has a water repellent finish. You can count on this body warmer to keep you warm and dry. Ideal for outdoor activities or casual wear for when you’re out and about. The body warmer has front zip pockets with the CAT logo zippers, a pair of inner zip pockets, and two huge inner mesh pockets.